Taste test: These are excellent chips. 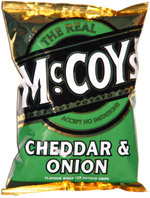 McCoy's makes the thickest ripple chips of anyone, with a great cut and an excellent crunch. These have a good, subtle toasted onion flavor and hardly any cheese flavor at all, so they're not loaded with flavor like some McCoy's varieties. 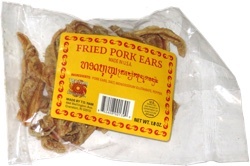 But they're so thick and crunchy, it's hard not to look into the bag and say "thank you!" Smell test: Very mild, slightly oniony smell.